“How can we make our agency more successful in 2014?” is a question public relations firm owners and leaders are, or should be, contemplating in the remaining days of the year. To that end, last week I posted “Your Annual Agency Check-Up: How To Assure Your Agency Has A Healthy 2014” on CommPRO.biz. Here are five more steps to improve your PR agency’s success in 2014. 1) Run Your Agency More Like A Business. While your agency may have non-profit clients, it should not be a non-profit company. If you haven’t done so before, make 2014 the year you run your agency more like a business. Here are some ways to do so. 2) Write And Implement Your Agency Business Development Plan. While the timeworn cliche “If you fail to plan, you plan to fail” may be a bit of an exaggeration, there’s no question that agencies with a plan are more successful. So write down your agency income growth goal. (Don’t be frightened. It’s just a number). Next, determine how much will come from existing clients, and how much from “new, new” clients. Next, identify the industry categories where you believe you can most easily achieve these numbers. Here’s more on writing your business development plan. 3) Write And Implement Your Agency Marketing-Engagement-Public Relations Program. This is different from the business development plan, and a key part of achieving agency success. I recommend writing the Program only after you’ve completed the Plan. Why? Because the Program supports the Plan. If there’s no Plan, what is the Program supporting? And the old line about the cobbler’s children having no shoes? That’s a fairy tale. If you have no written marketing plan, no elves are going to save you! But if you have one, you can review it monthly to determine which marketing strategies and tactics are working, so you’ll continue or expand them, which aren’t working but should be tweaked, and which you should drop. 4) Determine Your Client Service Magic. Many other agencies can deliver superb strategy, create cut-through-the-clutter creativity, and execute with excellence. All these things are point-of-entry for any agency worth its salt in 2014. If you want to improve your PR agency’s success, articulate your firm’s individualized approach to delivering five-star client service, and make sure every member of your client-facing team is a client service rock star. 5) Evolve, Evolve, Evolve. Our industry is changing rapidly. If you rely only on everything you did to fuel your success in 2013, you’re practically guaranteeing that your 2014 won’t be as successful as it might. Understand what’s changing in the external world, particularly in social and digital, and make sure your agency is evolving with it. 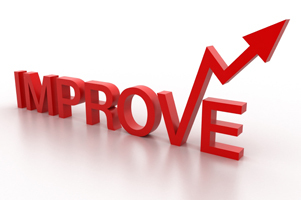 So how are you going to improve your PR agency’s success in 2014? Please tell us in the comments section.